Drawing from her bestselling books (more than 6.5 million copies sold) and popular "Woman After God's Own Heart" radio spots and podcasts, Elizabeth George shares positive and energizing devotions for moms. These upbeat and to-the-point offerings give moms daily direction and confidence for the amazing privilege of loving and raising children. Moms with children of all ages will delight in Elizabeth’s personal experience and understanding of Scripture as they? 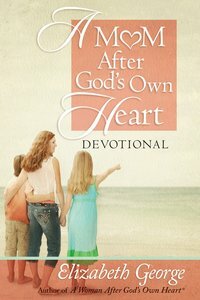 About "A Mom After God's Own Heart Devotional"